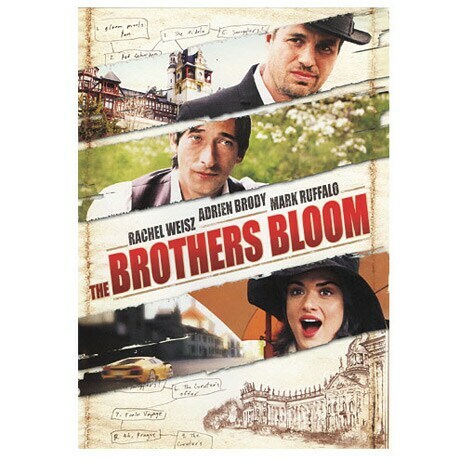 They've been con men all their lives, but now Stephen (Mark Ruffalo) and Bloom (Adrien Brody) are ready to part ways, in this quirky 2008 caper. Agreeing to one last heist, Bloom attempts to seduce eccentric heiress Penelope Stamp (Rachel Weisz) into an around-the-world trip, but finds himself falling in love along the way. Now at odds, the brothers will have to settle their differences before they run afoul of their ruthless former mentor, Diamond Dog (Maximilian Schell, in his final role). Will the brothers ever go legit, or will they instead lure Penelope into their exciting, freewheeling line of work? The lovely Rinko Kikuchi co-stars as explosives expert Bang Bang, while Robbie Coltrane appears in the role of a Belgian con man. The DVD also includes two behind-the-scenes featurettes and 35 minutes of deleted scenes.